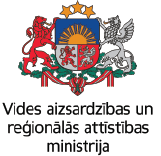 On 21st and 22nd May, 2019 the seminar in Ignalina municipality will be dedicated to opportunities of use of degraded territories. Seminar will start with planting of phytoremediation plants in Kazitskio village on project pilot area. Participants will be acquainted with agenda of activities. Project leader Daiga Zigmunde will give an overview on BrownReg project, as well as benefits from the project activities for Ignalina municipality will be described. There will be presented landscape-ecological approach to revitalization of degraded territories and examples of good practice from Latvia and abroad; types of phytoremediation and approaches to revitalization of degraded territories, selection of phytoremediation plants depending on pollution types; selection of phytoremediation plants depending on climatic and ecological conditions, indicator-plants indicating pollution in nature, as well as process of phytoremediation and management of arranged areas will be described. Presented topics will be discussed and creative workshop will take place as well. Seminar language – English/ Russian. Registration till May 15.